Home / System Tools / PhotoScape, Cool Photo Editing Software! PhotoScape, Cool Photo Editing Software! PhotoScape is a cool photo editing software. Using PhotoScape any one can edit their photos like a professional photo editor without any special skills. In PhotoScape you can find some tools like Editor, Batch editor, Page, Combine, Animated GIF, Print, Splitter, Screen capture, Color Picker, Raw converter, Rename, Paper print and Viewer. Use these tools to customize you photos with simple steps. Editor: resizing, brightness and color adjustment, white balance, back light correction, frames, balloons, mosaic mode, adding text, drawing pictures, cropping, filters, red eye removal, blooming, paint brush, clone stamp, effect brush. 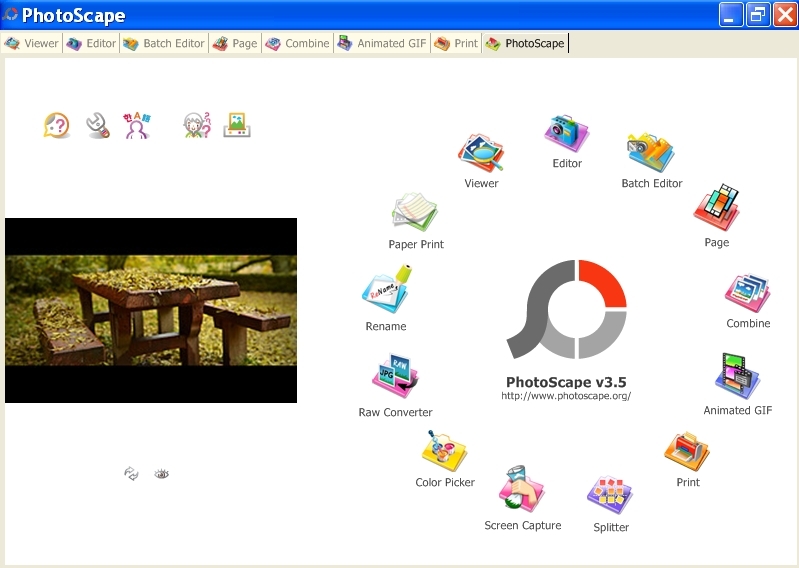 PhotoScape is a freeware software any one uses it free of charge. Also download free updates. It’s a super photo editing software. PhotoScape runs on Microsoft Windows NT/2000/XP/Vista/7/8.